Being held for thefifth time now, the Rosé festival marks the official beginning of summer. 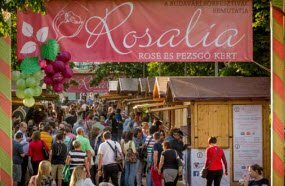 What makes Rosalia special is the fact that this is Hungary's one and only festival that showcases rosé wines, champagnes and sparkling wines in all amounts. During the three days, visitors can taste wines, attend concerts, enjoy the sunshine. Featured programs included activities and games for families with children, fair, street food tasting (everything from hamburgers to chimney cakes). 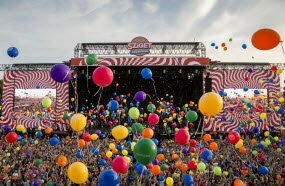 The Sziget Festival is one of the largest music festivals in Europe; the numbers speak for itself as more than 400.000 people come in August to the capital city of Hungary from all over Europe and the world to attend concerts, to see their favorite bands, musicians and to have fun. Each year both international and Hungarian bands, newcomers and DJ's enrich the festival program with their shows, concerts, making in this way the Island of Freedom the leading music festival in Hungary and make Budapest pulsate at the highest level for a week. 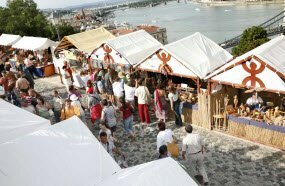 Organized for the 30htime this year, the Festival of Folk Arts has been a leading summer festival in Budapest. The main aim of the event is to present crafts to the visitors, tourists, the way how certain crafts existed and evolved in the past. As the festival takes place from August 20 to 23, it is mainly enlaced with the National Holiday of Hungary, celebrating the foundation of the Hungarian state, with fireworks, festivals and programs in all amounts. Buda Castle 1014 Budapest, Szent György tér 2. 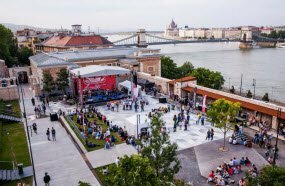 The Budapest Essentials Festivals is a fresh urban event, as this year is being taken place for the 3rdtime. The main idea of the festival is to showcase visitors and tourists the city's main attractions, focusing on cuisine, locals, restaurants, venues and music. Programs are available from daytime to late evenings. During the festival, tourists are offered by free entries to the museums, galleries, also offering a great discount in restaurants, to try out the specialties. Visitors can enjoy their time on concerts with local and international bands.